More than 2,000,000 downloads, Selected New and Noteworthy by Apple! 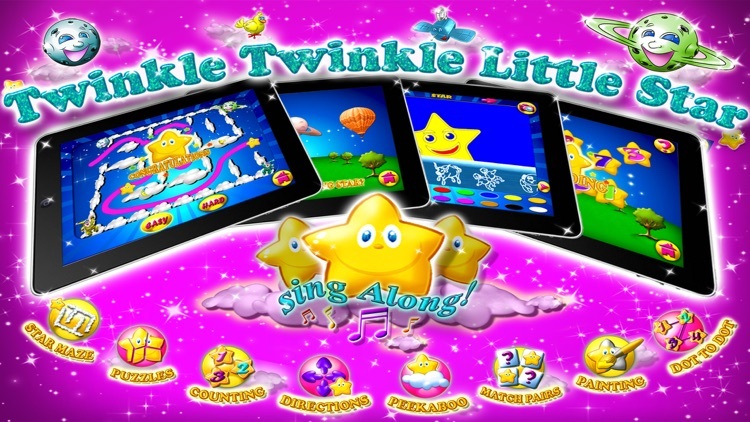 A wonderful and new way to enjoy the classic “Twinkle twinkle little star” song. 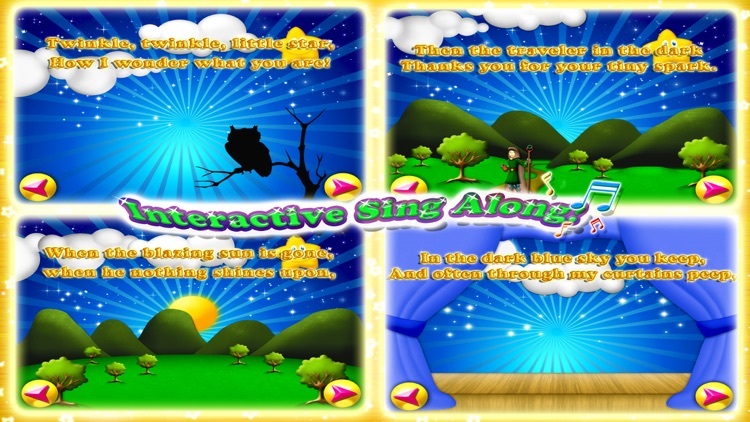 An all in one collection of intuitive and educational games, including the a vivid interactive and high quality production of the beloved song. 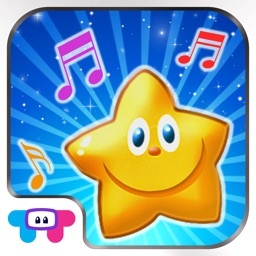 Animated, Interactive sing along story book for children - The classic “Twinkle Twinkle Little Star” song comes to life in an interactive rich song and dance experience. 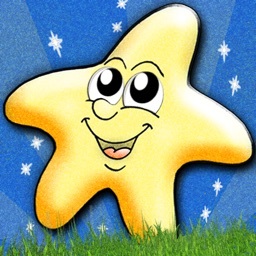 COLORING BOOK - Enjoy the twinkle star coloring page. 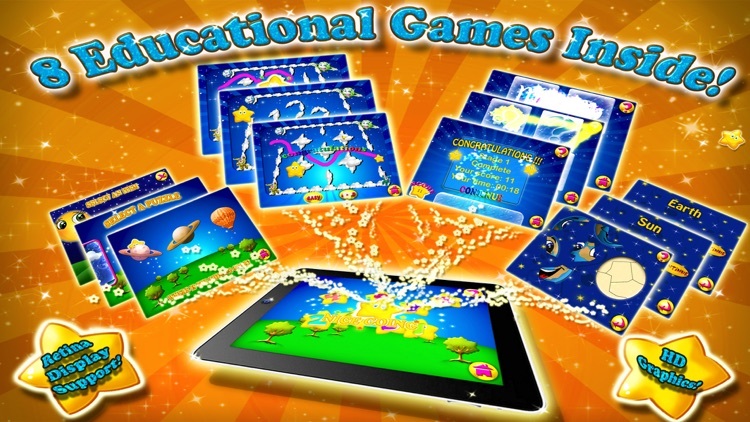 GALAXY PUZZLES - Enjoy a rich puzzle activity while learning spelling and vocabulary. 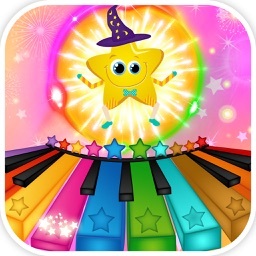 123 COUNT - Tap to count the shining stars. 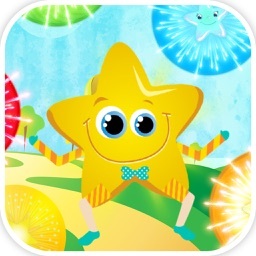 PEEKABOO STAR - Where is the shining star hiding? 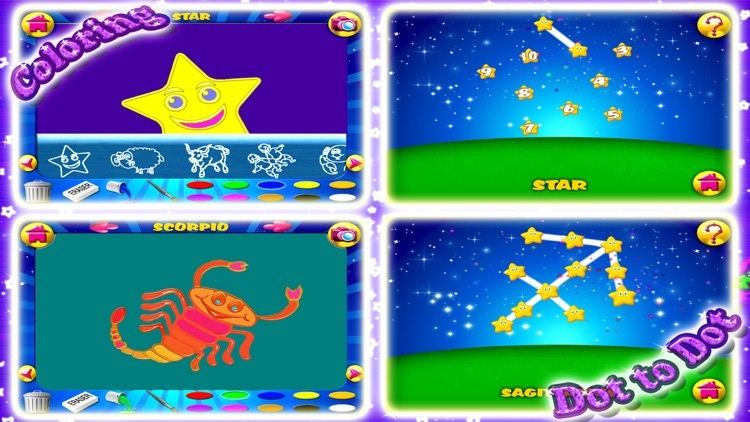 ZODIAC MEMORY GAME - Intuitive, educational preschool memory game. STAR MAZE - Star maze is an interactive intuitive drawing puzzle. CONNECT THE DOTS - Connect dot to dot and learn the 12 signs of the zodiac. 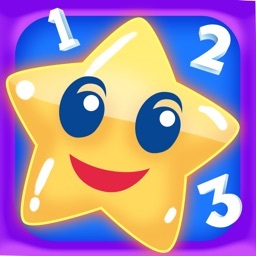 STAR DIRECTIONS - Tap to make the star fly up,down,left and right. OPPOSITES TAP GAME - Tap the opposite images for hours of fun. Ideal for an engaging, educational, visually and audibly exciting experience. Turn up the volume and let the family fun begin. 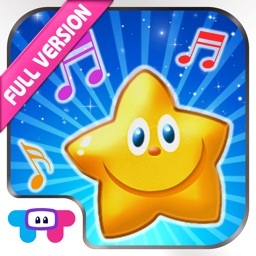 Note: First 2 song pages, and first 2 screens of all games are completely free. Many more fun screens, activities and features are available with an easy to use in-app purchase inside the app. Increase the volume and check that your device is not set to “Mute”. The Mute button is the switch next to the volume buttons on the side of the device. You can also set the side switch functionality by going to “Settings > General > Use side switch to” and set it to to control mute.